Last night, as I picked up my wife’s car from our friendly neighborhood mechanic (the only guy in town who works on Volvos, apparently)... I saw this. Staring at me. Beckoning with is massive lights: “come on mate, let’s go exploring!” So I asked the owner of the garage the story behind this lovely Disco II and he told me a customer dropped it off last summer to have some work done and never picked it up after they finished up with it. So it’s been sitting there with all the major issues fixed, waiting for someone (me) to pick it up. Just needs a new battery, and probably could use some new tires. They even sounded interested in trading me for my 2005 Subaru Legacy GT wagon that’s got 225k miles on it! So now the question is, do I go for it? We’re expecting Baby #3 in the fall and I could really use a car that fits 3 car seats across in the back and is an automatic so my wife can drive it when I break myself doing something silly. I love interesting cars and shudder to think about getting a minivan or somesuch. I’m plenty mechanically inclined, and can borrow a friend’s car for a few days if the Disco breaks down on me (if...hahaha), and do most of the work on it myself. I think the adventure is calling me, and if they’ve got service records for it I may just go for it. What do you guys think? 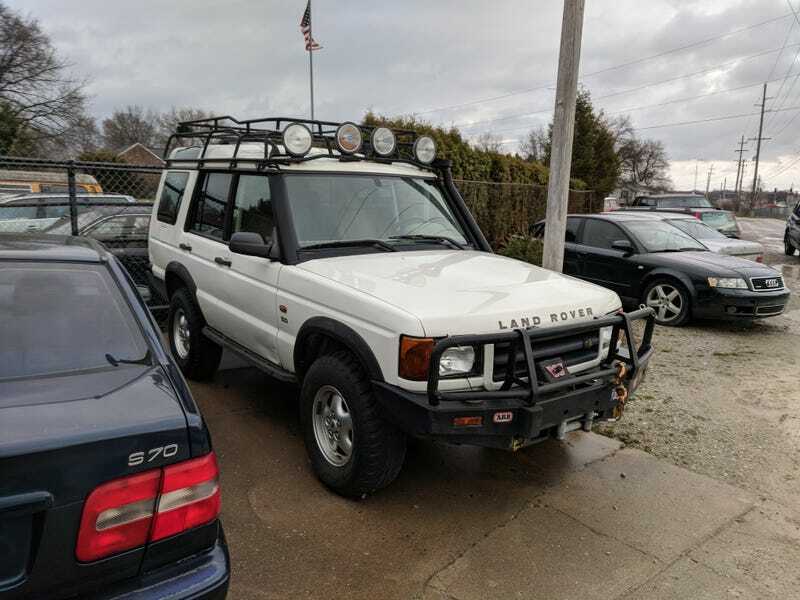 Any Disco owners out there want to talk me out of it, or at least share pitfalls I should avoid?